This morning cross borders with Hungary and arrive in Budapest. Embark your Emerald Waterways luxury river cruise ship. 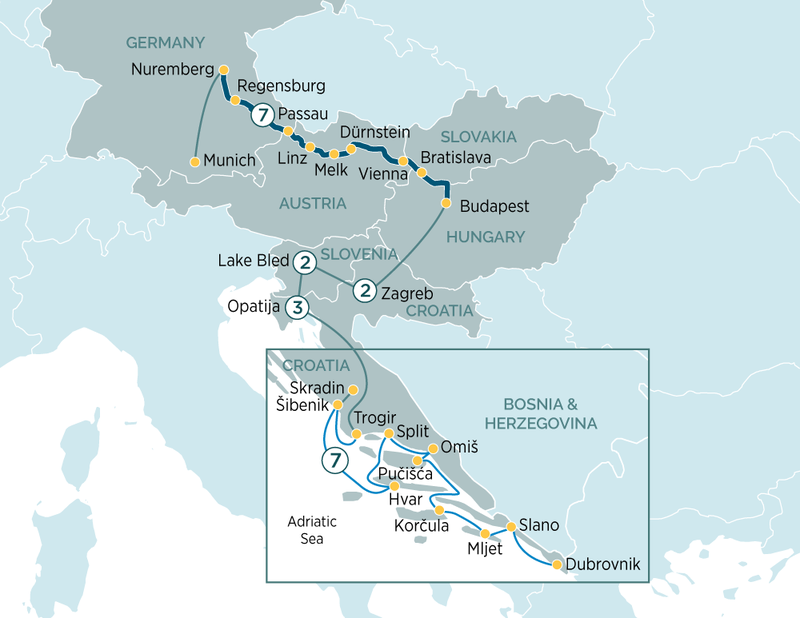 This evening, join your fellow travellers for a night–time cruise along the Danube, passing under the city’s numerous bridges, whilst enjoying a traditional Hungarian welcome dinner complete with folk dancing and music.